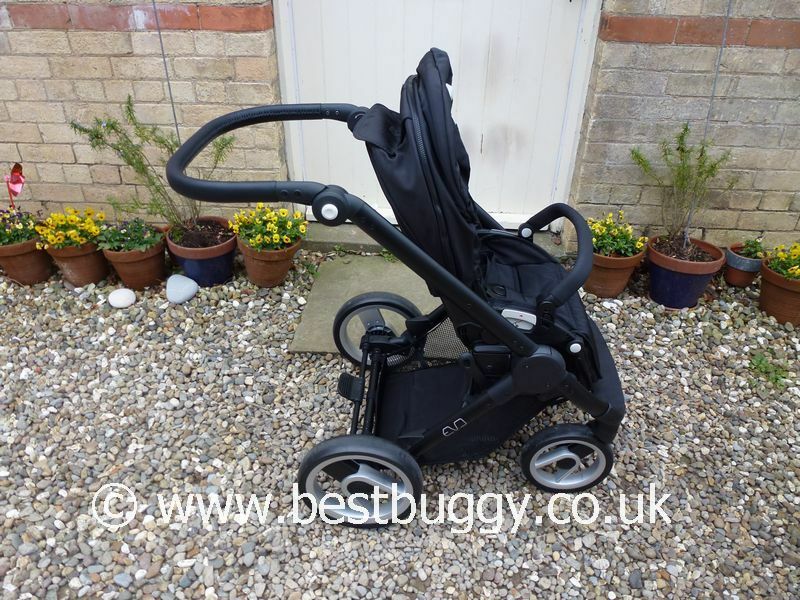 The Mutsy Evo is a fantastic pushchair! Lightweight, compact folding, easy to push with a good seat unit. Quality fabrics, a leatherette handle and attention to detail, all make the Mutsy Evo a really excellent pushchair but with a great price tag! 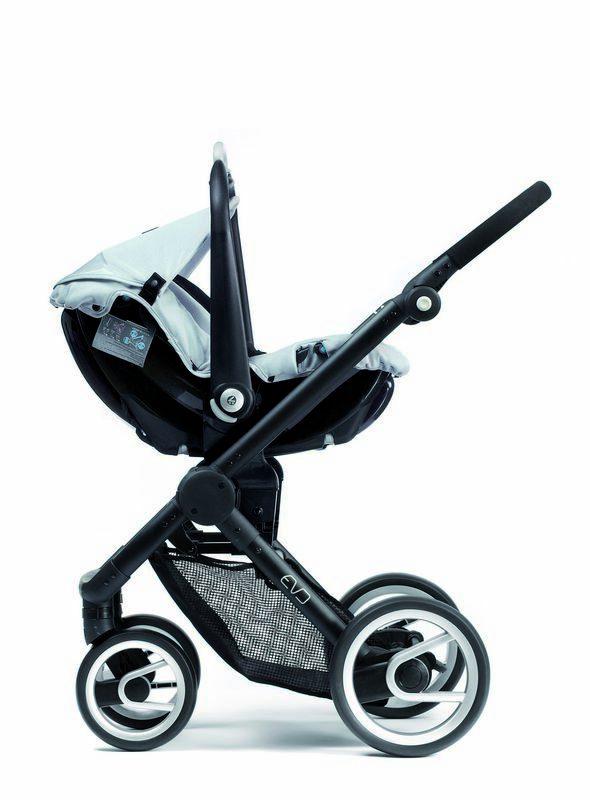 The Evo can take a car seat or carrycot which makes it a great travel system suitable from birth. Excellent value for money. Quality fabrics and chassis with some interesting details. Easy to push and manoeuvre. Forward and reverse facing - easy to do. Small fold with the seat left on in either position. 4 position seat including a very upright position. Large basket. Several handle settings including very high and very low! 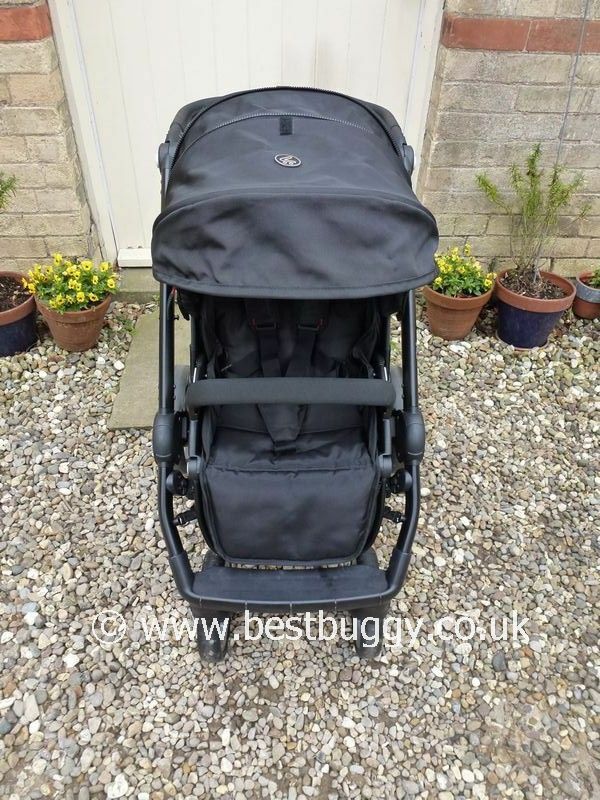 Lined carrycot with mattress. Raincovers included. Seat is suitable from birth, but a carrycot is included. Can take a choice of car seats. 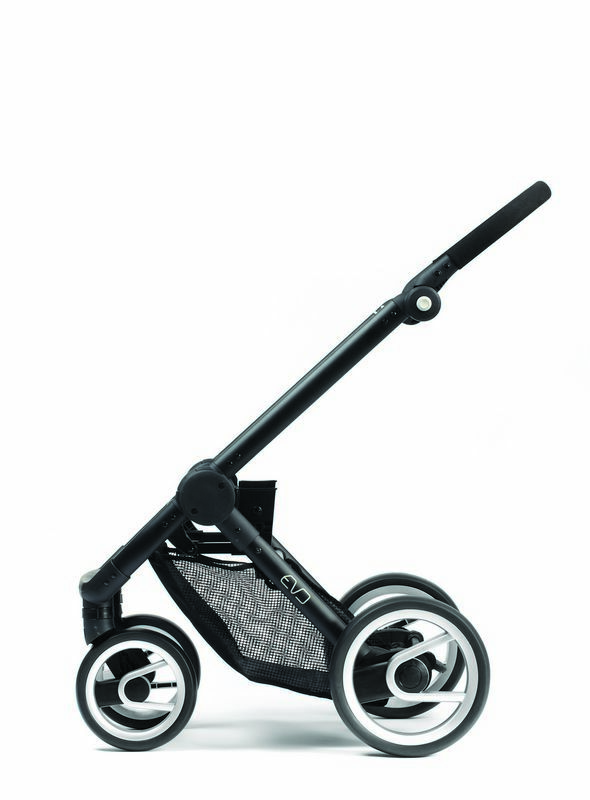 A stroller board plus the long handle could make this a very good double option for a baby and toddler. 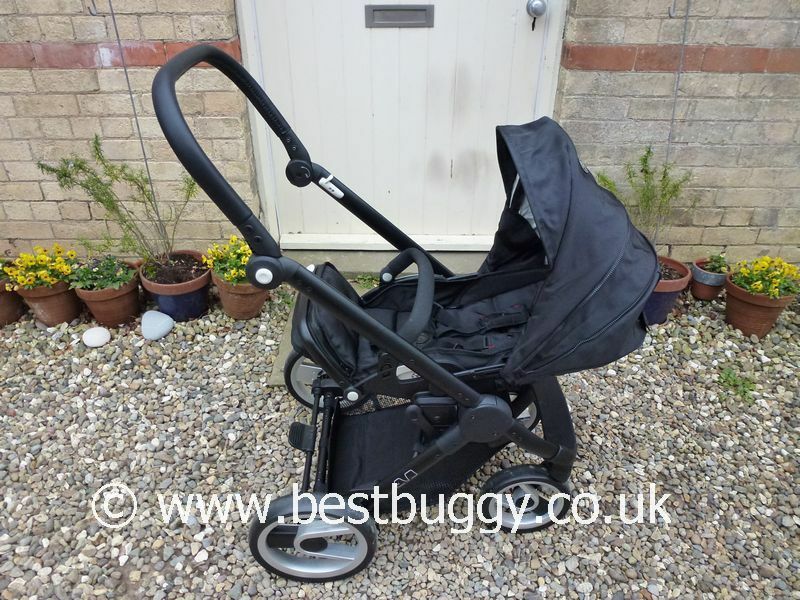 All round, this pushchair takes a lot of beating! Highly recommended! The basket is a little shallow at the rear - watch for things falling out. The top section of the handlebar is a long way from the pivot. Thus in the lower handle positions, the seat / child feels a long way away. Not an issue with the handle straight or higher. 4 hard plastic wheels. 2 small lockable swivel front wheels, and two large rear wheels. Other accessories include a sun canopy, footmuff and dinner tray.